With the development of the economy, it is necessary to avoid Aviation Cable Used In Ships failures for today's extremely complex and sophisticated electronic products. People have no way to accept even a short shutdown, and no one can afford expensive machinery that will be replaced a few years before the service life, especially when the profit margin is small and the competition is extremely intense. Aviation Cable Supplies have been working to challenge a wider temperature range, more shielding capabilities and higher mechanical durability, as well as the bending and chemical resistance required for extremely harsh environments and increasingly complex applications. However, cable failures and system downtimes still occur from time to time. Wire and cable as the nerves and blood vessels of ships are directly related to the safety, reliability, advancement and combat capability of the ship. Therefore, the choice of marine cable must be accurately selected according to different situations, in order to effectively avoid cable failure, and seize the opportunity of the vigorous development of China's shipbuilding industry to fully develop. 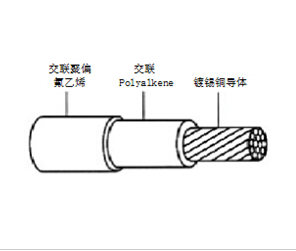 上一篇：Basic Requirements For The Appearance Of Cable Products 下一篇：How to Choose High Temperature Wire and Cable?